Join us for our 40th running! With a unique course crossing the U.S./Canadian border twice and great musical entertainment along the way, there's no end to the excitement of running this rac...e! The 2017 Detroit Free Press/Chemical Bank Marathon is Sunday, October 15. There are events suitable for all ages and abilities. This year's events include: Marathon Run; Disabilities Division; International Half-Marathon; U.S.-Only Half-Marathon Run; 3-5 Person Marathon Relay; 5K; and Kids Fun Run. Please visit our website for course details, registration information, training tools, lodging options and more! 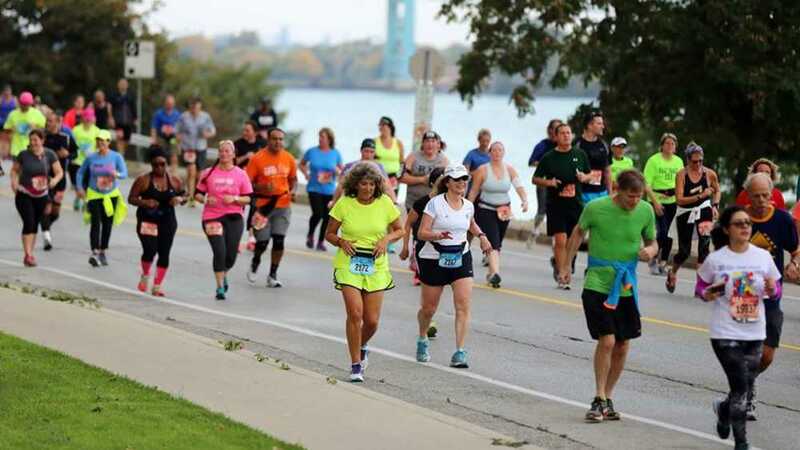 The Marathon and International Half-Marathon cross the US/Canadian border at two points, taking participants over the Ambassador Bridge and through the Detroit-Windsor Tunnel.